A civilian and three alleged militants were also among those killed in Monday's confrontation. 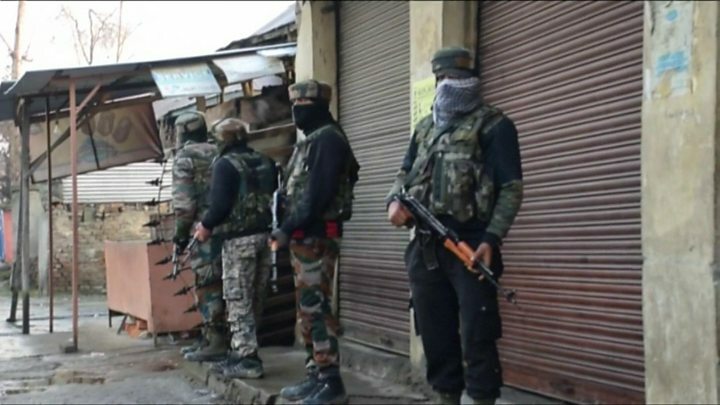 Police say the three suspected militants who were killed are members of Pakistan-based group Jaish-e-Mohammad (JeM), which said it was responsible for Thursday's suicide bombing. Indian security forces have been hunting for those with suspected links to JeM following Thursday's bombing, which saw a vehicle packed with explosives ram a convoy of 78 buses carrying Indian security forces. 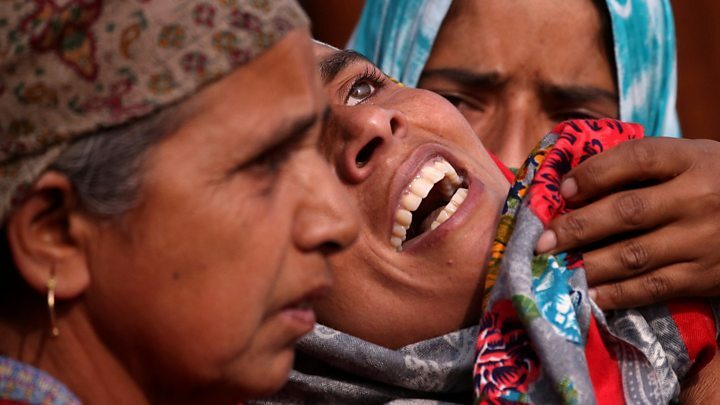 Thursday's attack was the deadliest attack against Indian forces since an Islamist-led insurgency began in 1989. It sparked anti-Pakistan protests in some Indian cities and angry mobs targeted Kashmiri students and businessmen. India's Central Reserve Police Force (CRPF) offered help to students in need, but also warned of false reports. In broader terms, there has been a spike in violence in Indian-administered Kashmir since Indian forces killed a popular militant in 2016. Significant numbers of young men have joined the insurgency in recent years and the funerals of well-known militants draw huge crowds who want to pay respects to "martyrs". So far India has focused on retaliation by economic and diplomatic means. It has revoked Pakistan's Most Favoured Nation trading status, raised customs duties to 200% and vowed to isolate it in the international community. Whether Pakistan was involved in the attack or not, it seems unlikely concerted action will now be taken against JeM. Its leader has been in "protective custody" since another attack in 2016, but still regularly releases audio messages to followers.